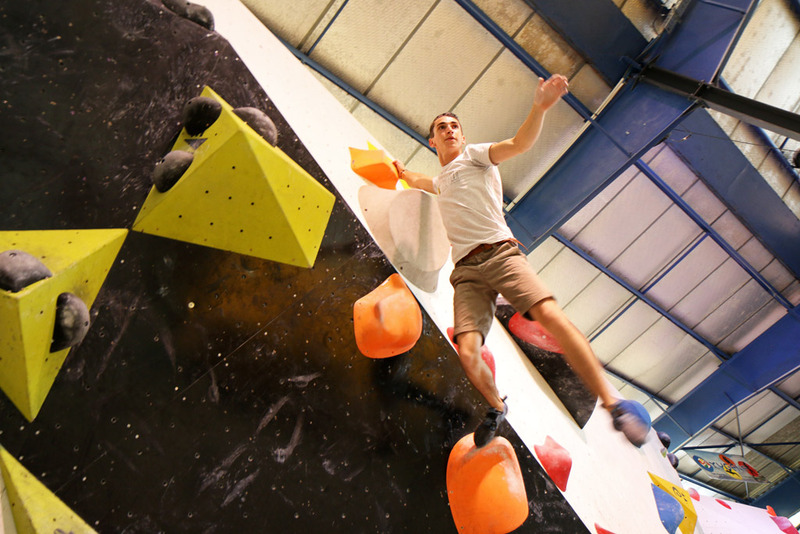 Partager Go out of your comfort zone and try indoor climbing! Whatever the weather, we always need a cool, educational and fun indoor activity to do! 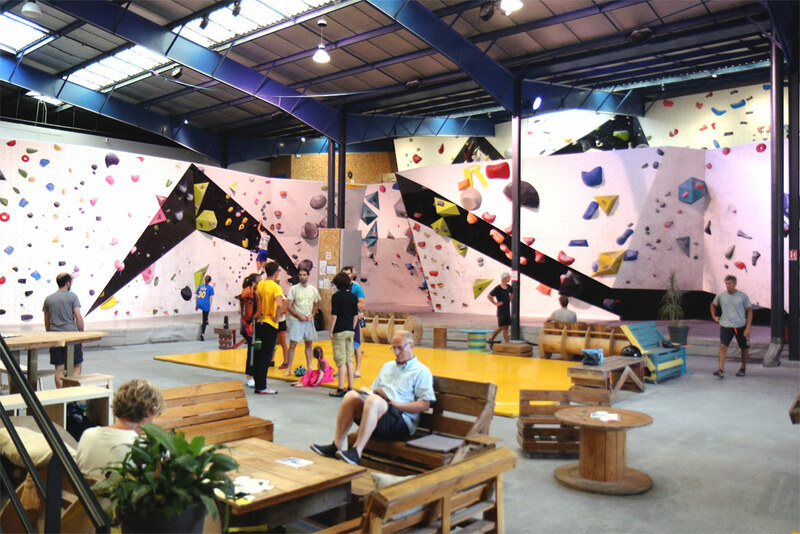 In The Roof Bayonne, the indoor climbing activities are an affordable and fun way to spend a great sports day or half day. So put on your comfortable clothes and let’s go! Never used a harness before? Not a problem, here you don’t need one. 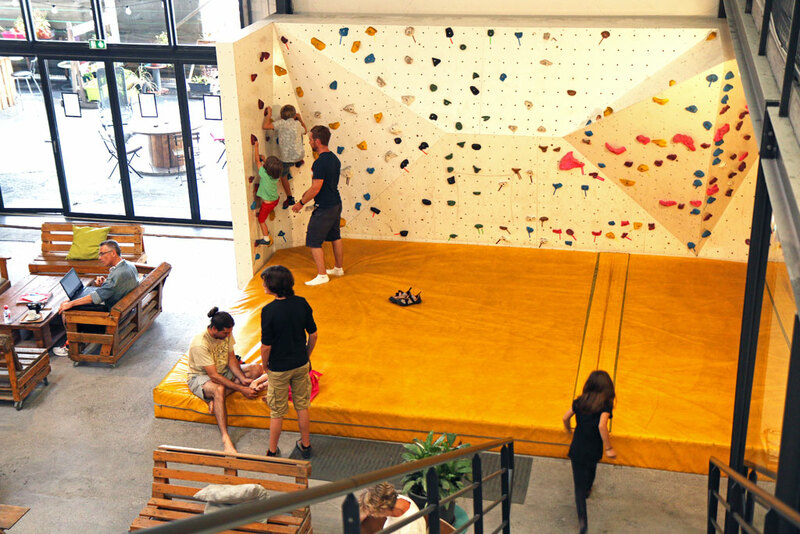 An indoor climbing wall is an alternative to classic outdoor climbing, where you can have fun alone, at any ages (from 4 years old), in a simple and intuitive way. Under the wall, big padded tatamis style mats, can soften possible falls. 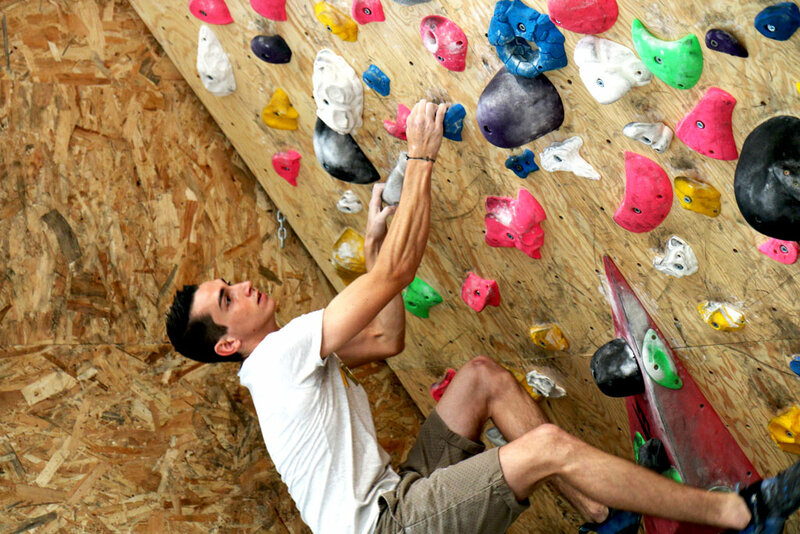 Climbing in a safe environment allows you to concentrate and have fun. Are you with your family? Take your children with you to The Roof. There is a wall dedicated only for children. Start your session with safety instructions (mainly common sense; for example do not jump, do not stay under a route while a friend is climbing) and some advices on the use of the different routes. These ones are shown by colours, you just need to follow the boulders of the colours of your chosen route, depending on its complexity. 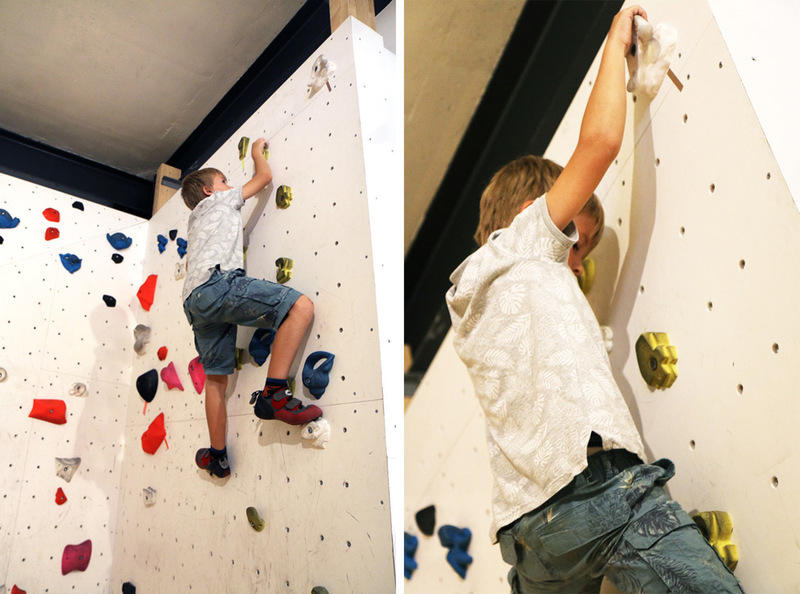 The children are quick learners and in few minutes, you can see them moving on the climbing wall with ease with a defiant look… While one of the parents or adult friend keeps an eye on the children, another adult can go and have fun on a route appropriate to their age and level. The children are naturally agile and at ease with their body! At the first floor, there are routes for the pre-teens (from 8 years old) with moderate difficulty. 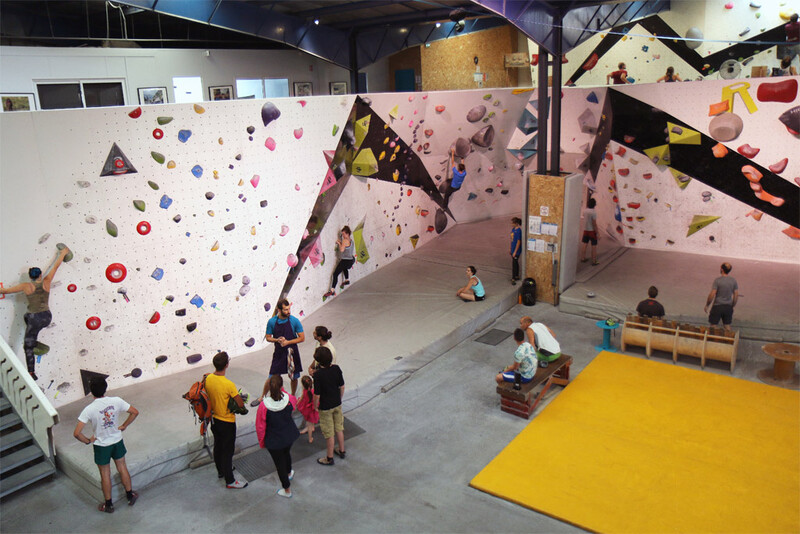 Downstairs, it is not authorised for use by anyone under 12 years old, the routes go higher (maximum 4.5 metres) and are tougher. The experts are therefore not disturbed by the beginners. The levels are not overlapping, everybody can climb in complete peace. 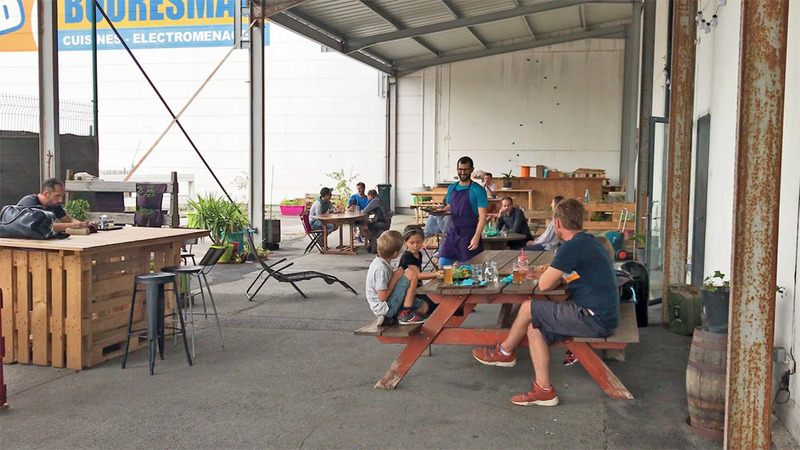 The customers of The Roof are not all climbers; there is also those who like coming in this relaxing and pleasant place for lunch or just have a good time. The restaurant offers a variety of very good simple and natural dishes. We had lunch on site with the family, a very good salad, combined with a Croque Monsieur and a homemade Apple Crumble. 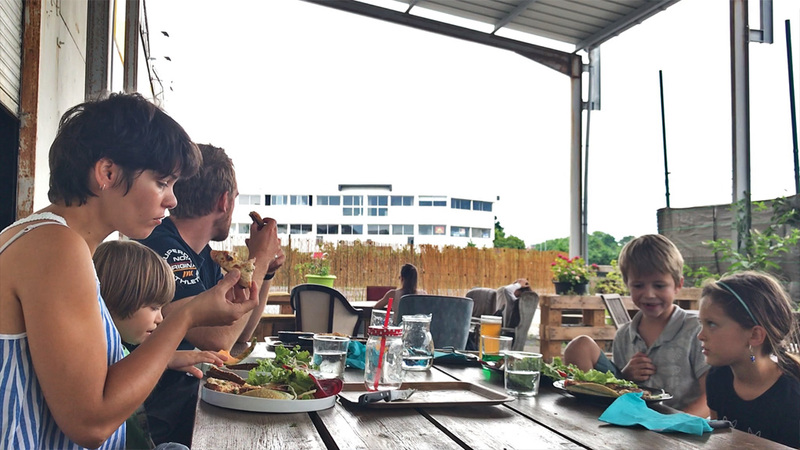 There is a large choice of refreshments, some tables outside and a sheltered outdoor terrace with some surrounding greenery which can host special evenings, concerts and other fun events, check The Roof Bayonne’s Facebook page or their website (see below) for their latest news! Inside, on the wooden pallet tables, we can have a drink while looking at the climbers. The children can play on the warming up tatamis at the centre, the workers come sometimes with their laptop, connected to the wifi to enjoy this relaxed atmosphere. The only thing you need for climbing at The Roof, it is a pair of climbing shoes. If you do not have a pair, it is like bowling, you can rent them for 2 euros.